In the North Island, gold mining was a key part of the Coromandel’s early development. Similarly, in the South Island, Otago was the centre of the gold rush in the 1800’s. 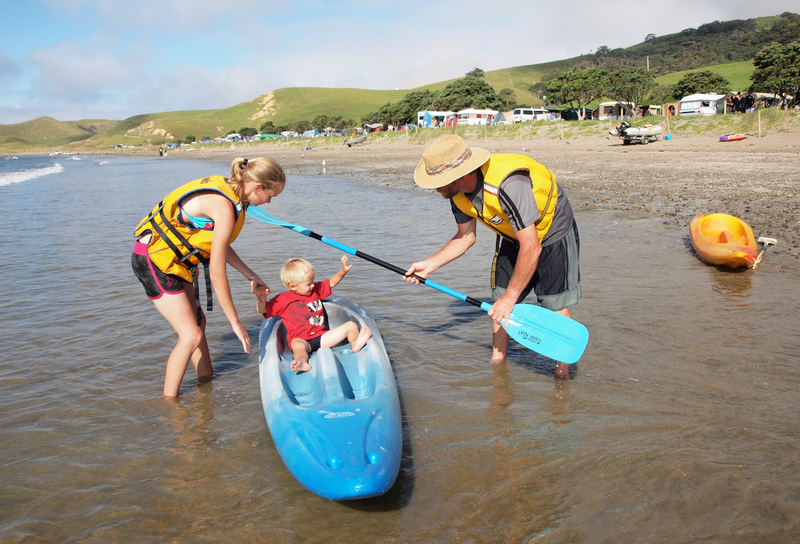 Today, both Coromandel and Otago offer great family camping and sight seeing, and a golden opportunity for those who like to get off the beaten track. Today I’m going to show you around the Coromandel. We’ll head down to Otago on Wednesday. The sun shines, the surf bubbles on the beach, pohutukawa blossom and people’s minds turn to summer. Like generations before them, people repeat the summer migration from urban sprawl to that place where priorities get re-ordered. Where meeting old friends is more important than meeting deadlines. It’s a place that has become part of family folklore and generation after generation, the families keep coming back. These days with technology, ‘coming back’ can start when you let your fingers do the walking on the DOC online booking system. Some Coromandel gems are off the grid—no cell phone reception in some places—but they are on the internet. Let’s have a look at the great opportunities that beckon from the click of a mouse. Colville is an interesting place. Not long after you drive through this small settlement, the road turns to gravel, the cell phone drops out and you drive past the last place to get an ice cream! Mind you, there is a truck that does the rounds of the DOC campsites and ice cream is one of their staples. A left turn, to continue up the western coastline leads to three stunning campsites. A right turn takes you over to the East Coast either up to Stony Bay, or on the circuit back past Waikawau Bay via Kennedy Bay to Coromandel. After you leave Colville, the short climb over the hill to the eastern side of the peninsula leads to a fork in the road. The choice to turn right at the bottom of the hill is the path most taken towards Waikawau Bay. Turning left however, takes you further up the East Coast to the remote beach at Stony Bay. Stony Bay is a deep inlet, flanked by the bush-clad hills of Mount Moehau. This is the far eastern end of the line for the top of the Coromandel. From the 5-hectare campground, you can drop down to the sea to go fishing or diving, otherwise follow the Coromandel Walkway to Fletcher Bay or loop high up the hill on the mountain bike track (grade: intermediate). 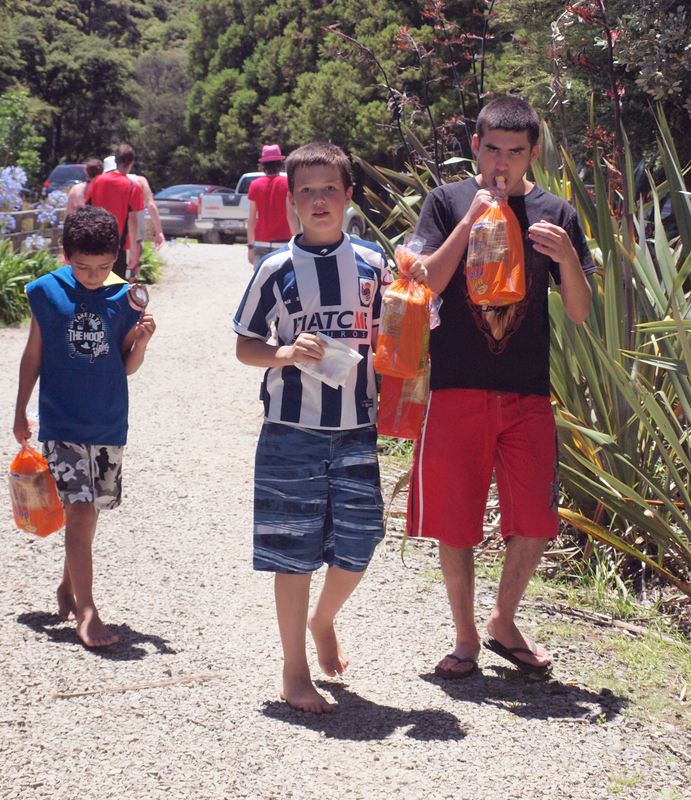 As a standard DOC campsite, Stony Bay has good facilities. There is water from the tap, toilets, a barbeque and even a cold shower. That’s a good excuse to take your solar shower. You can book via the online booking system. 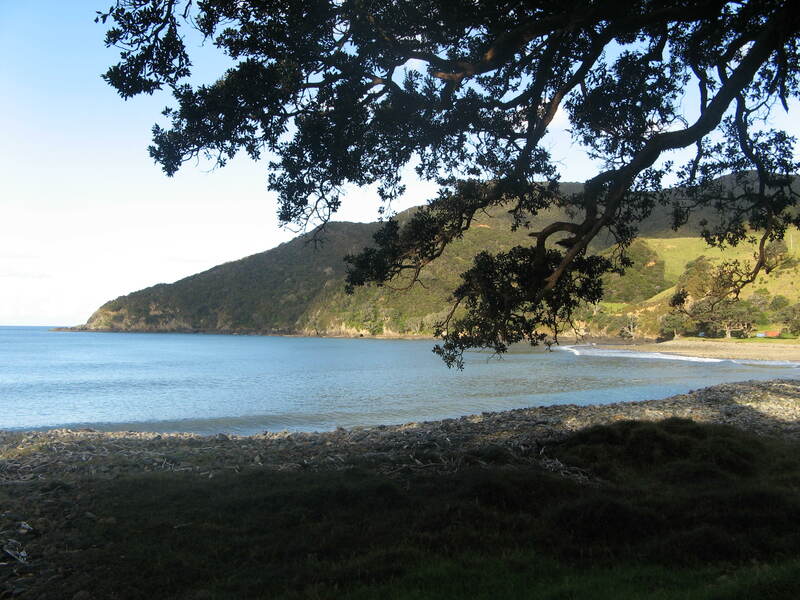 Waikawau Bay campsite is DOC’s most popular site in the North Island and it’s not difficult to see why—a stunning beach, an open camp site and relative isolation. In spite of its popularity, it is easy to get away from other campers, if that’s what you want, and the beach, which stretches to the north, is a great place to do just that—you might have to share the sand with NZ dotterels and oystercatchers, they are all busy with nesting around the summer period. Just remember, it’s no holiday for them! 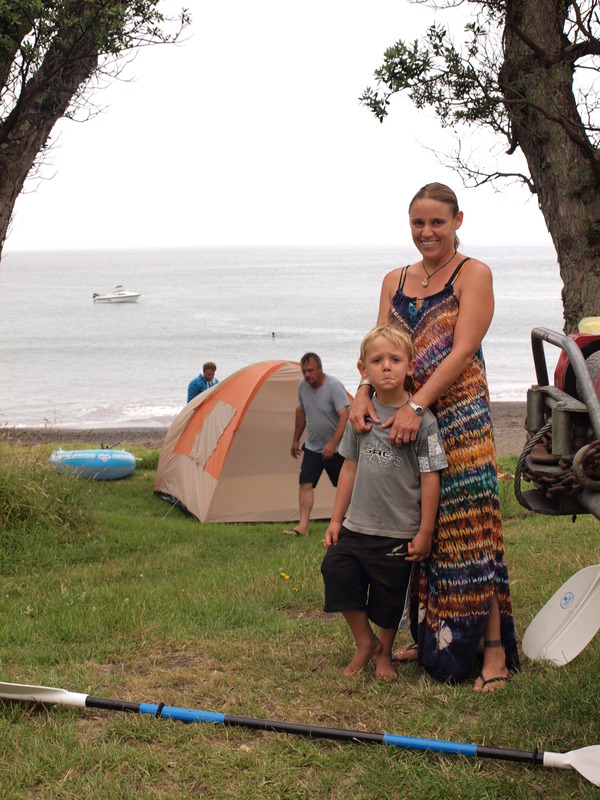 Waikawau Bay campground has undergone a transformation in the last few years as flood prone areas in the camp are retired and others are brought into use to cope with the demand during the peak season. The camp shop can keep you supplied with essentials. Fantail Bay faces west onto the Hauraki Gulf under the giant pohutukawa trees that characterise the coastal vegetation in the Coromandel. The westerly aspect keeps the day warm, and dappled light through the trees keeps the tent sites cool in the hot midday sun. The fishing must be good because last summer when I was there, some campers I met were throwing back the snapper under 10 pounds (why do fishers still talk in pounds? New Zealand went metric in about 1972). It was a fishing competition among the camping families who have been coming back for four generations and it wasn’t just the oldies catching the big ones! Having a boat is a good idea. Fantail Bay campsite has a toehold to a corner of the Coromandel Forest Park and the track behind the camp leads up towards Mount Moehau. In the evening you can climb up the steep hill track for about 30 minutes and hear kiwi. There are a few pairs up there and the pest control operations by MEG (Moehau Environment Group), local iwi, and DOC allow them to thrive. Shoehorned onto the sandy strip between the beach and the road, this long thin campsite is very popular and it is easy to see why. 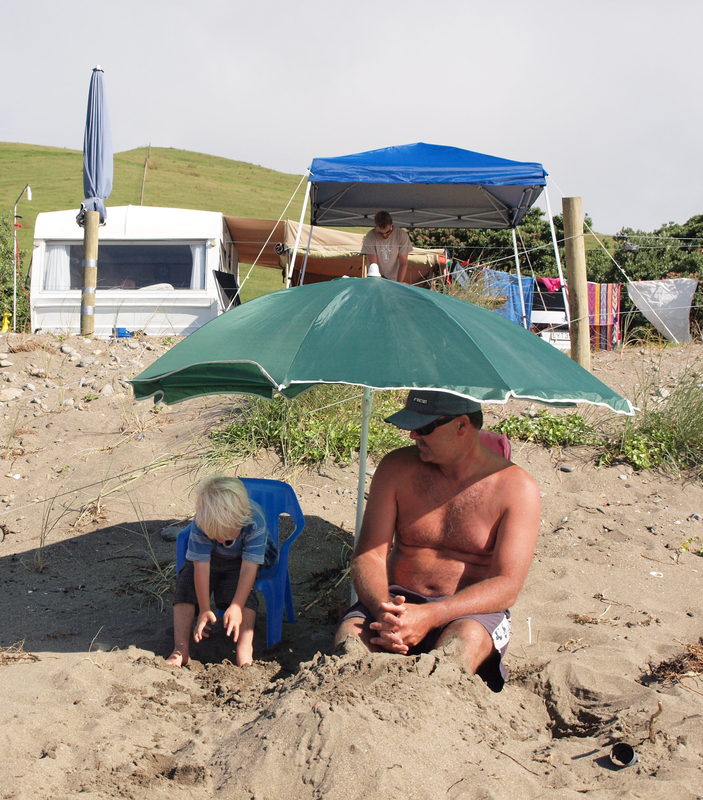 The safe beach is at the front of your tent, the pohutukawa and dunes are all around you and the northerly aspect means you have sunshine for most of the day. This makes it an idyllic spot to camp and to launch your boat. The sandy beach sweeps east to the Muriwai walkway that begins at the headland and travels along the coastal cliff towards Fletcher Bay. The views from up there are stunning in all directions and recent pest control work has seen the cliff-dwelling pohutukawa trees coming back strongly to provide a spectacular sight in the early summer. The chances to paddle, swim and fish in this area are countless and with a family friendly atmosphere, Port Jackson makes a great summer camping site that’s away from the madding crowd. If you are missing your phone fix, the northern-most phone box in the Coromandel is outside the camp gate, but obviously you can’t text on it. Just carry on camping. It’s the end of the line here. If you go any further east, it will have to be on foot or on a bike around the Coromandel Walkway to Stony Bay. 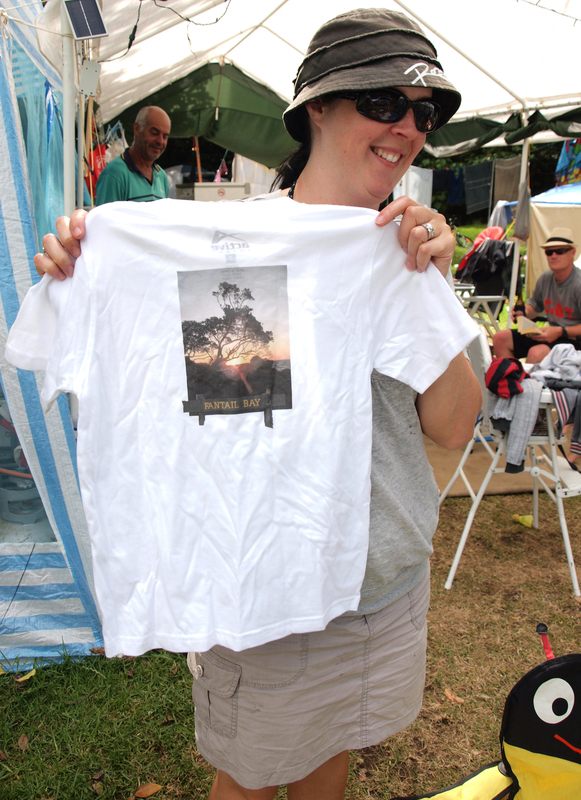 The old timers will tell you of the days of camping in a sheep paddock. These days, it’s a bit more organised, and a bit more popular. It’s still raw, but with intensive plantings over the last winter, and a bit of subtle landscape management, the place will be stunning in a very short time. Hardly surprising, the fishing is still good and the location, looking out towards Great Barrier Island, is an image straight off the lid of an old biscuit tin. If you need more salubrious accommodation, there is the backpackers lodge at the back of the campground.